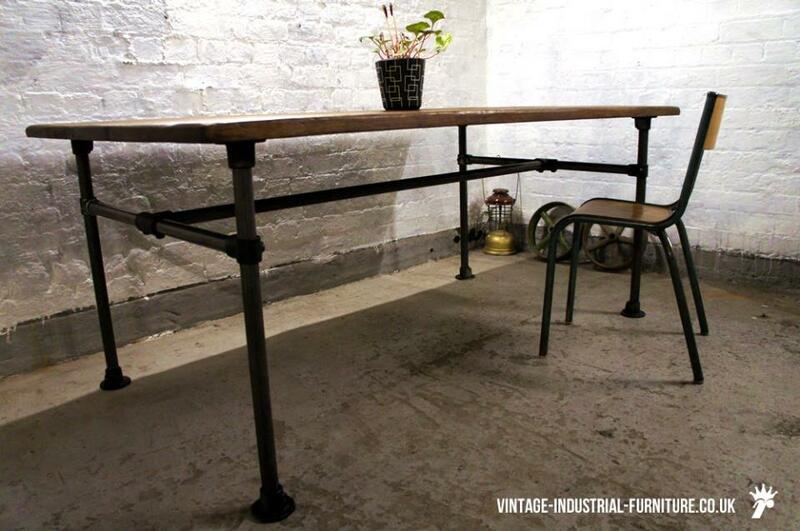 A vintage oak dining table with tubular steel legs. The grey-silver metalwork comprises thick steel tubes joined with cast bosses and joints. This affords adjustability of the cross brace allowing a low or high position. When the brace is set high, the table can accomodate a chair at each end. 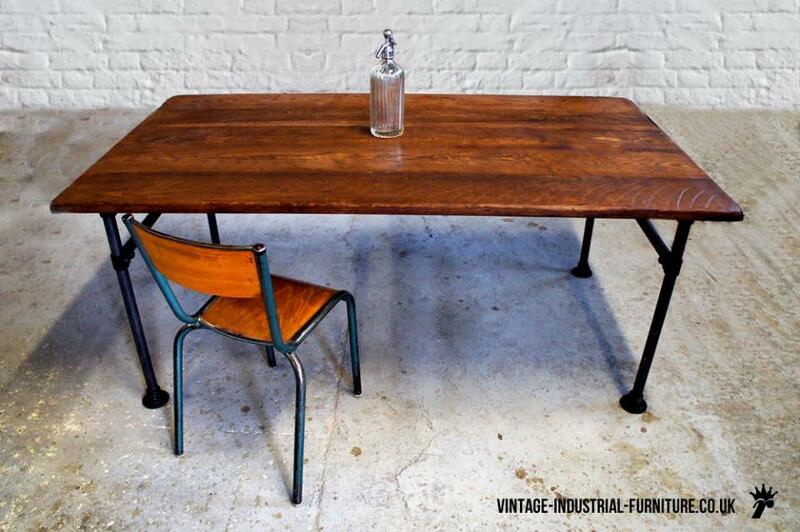 The substantial top wooden top on this vintage oak dining table is available in light or dark (shown). 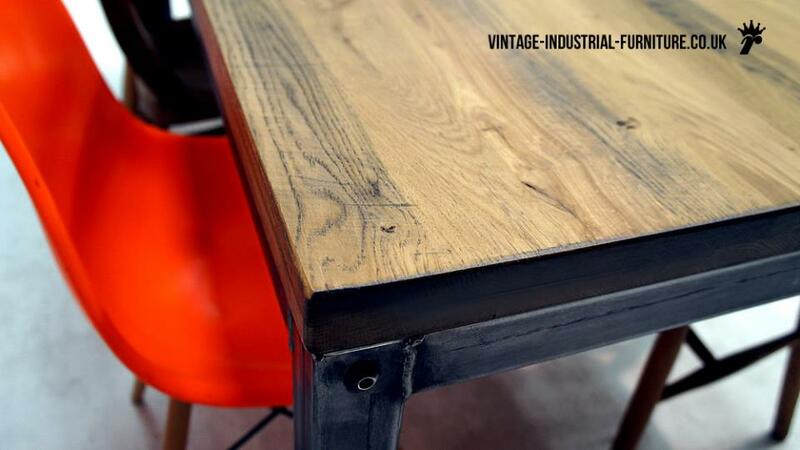 You can see the lighter (tinted) colour on another oak table.